A sweet shop that stands out for its unique offering in a city that is dotted with sweet shops in every nook & corner. Address & other details: Alight at Central metro station (towards Poddar Court end). U come across a statue of Maharana Pratap on ur left if u r facing Girish Park. Once in front of the statue, take the road to the right (if u r facing the statue). Take first right turn from there & go straight. The shop is on the left. While there r plenty of sweet shops in Kolkata & there r shops that do unusual sweets, there is a type / trend. 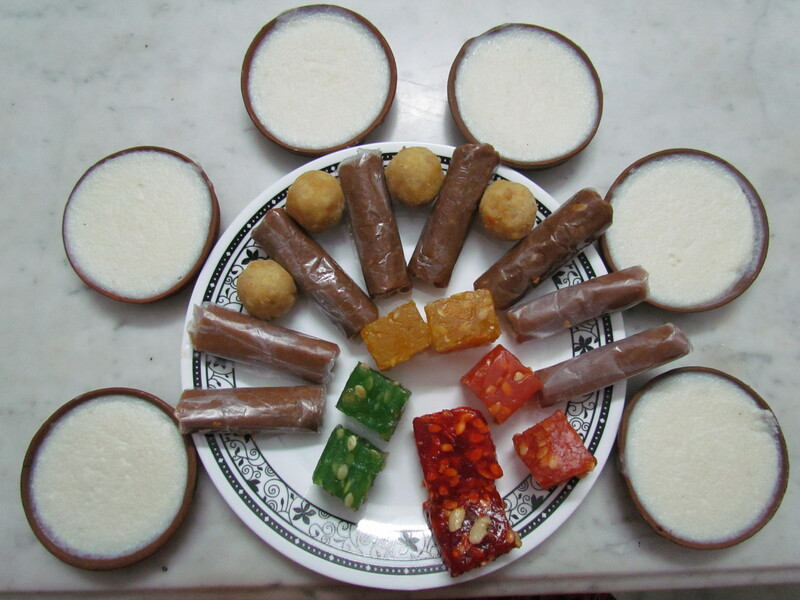 Most shops serve sweets with a chhena base – traditional Bengali sweets. For variation, there r shops like Gupta Brothers, Tiwari Brothers etc that serve usual North Indian sweets. 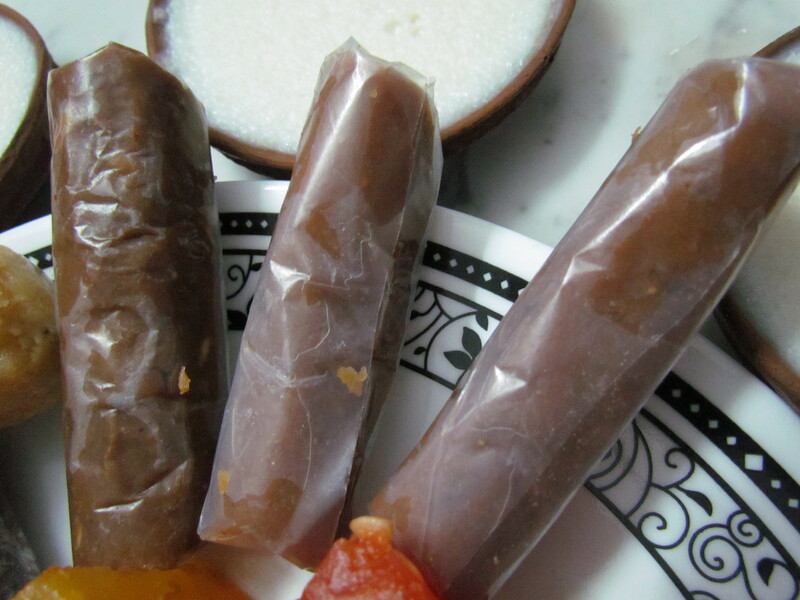 However, some of the sweets at Liyaqat sweet r quite unique. The 300+ year old Ghantewala Sweets of Purani Dilli (Chandni Chowk) is famous for its halwas & so is Chaina Ram sweets at Fatehpuri masjid. 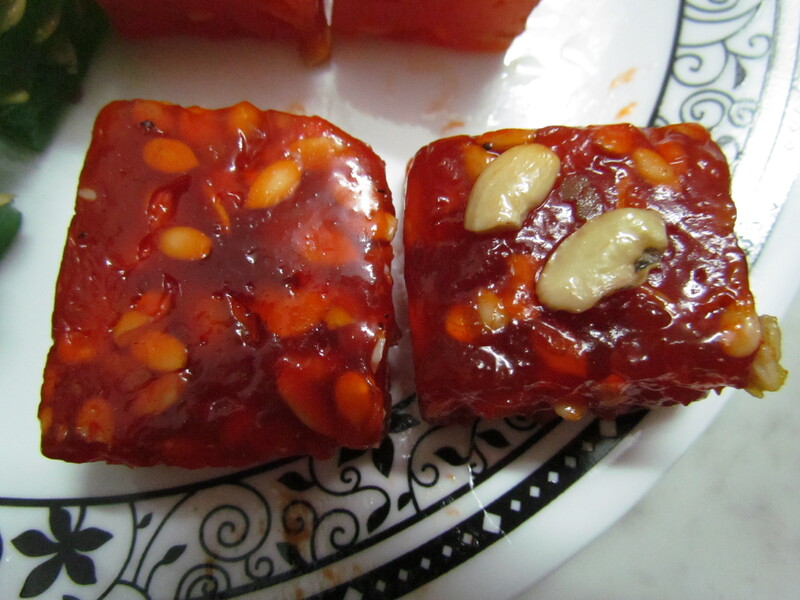 While the former is famous for its halwas the latter is known for its Karachi Halwa. 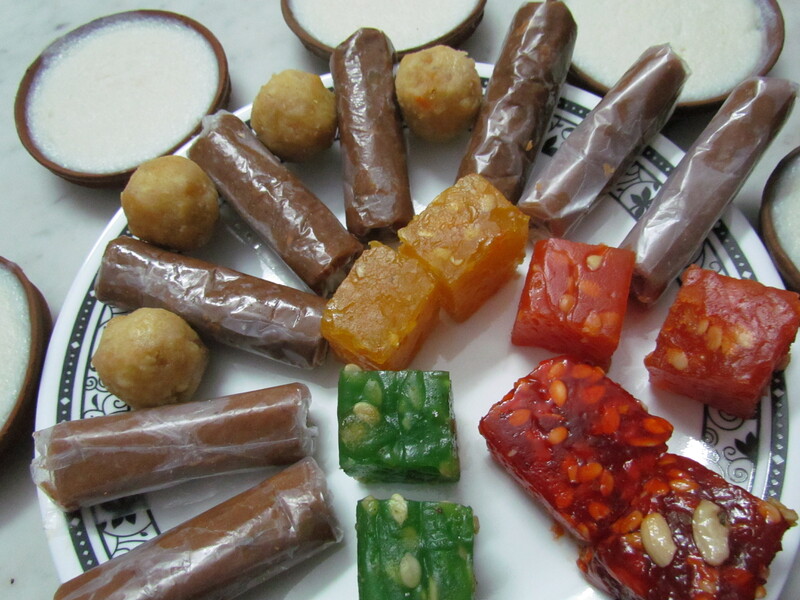 Sweets at Liyaqat reminded me of those at the Legendary Ghantewala & Chaina Ram. I came across the word Aflatoon for the first time when I saw Akshay Kumar in a movie by the same name. 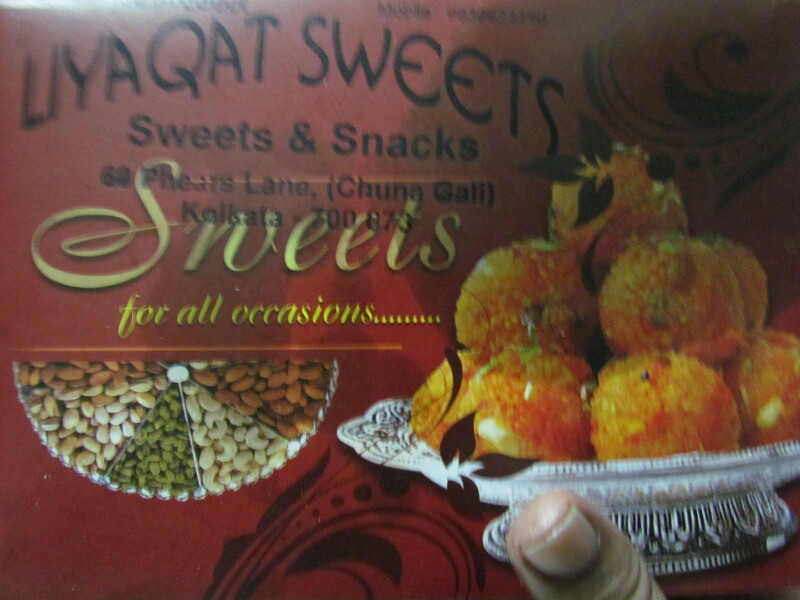 Little did I know that Liyaqat Sweets sells a sweet in that name!!!! Aflatoon was essentially a very tight version of a halwa with khoya base & loads of other ingredients. It was served in a butter paper cover that made it look like a large toffee. Taste was excellent. One was the traditional variety & the other one was anjeer flavoured. Real anjeer had been used to make this. Super loved both of these. I wud happily assign 4.5/5. The Karachi Halwa I mentioned above is sticky, chewy but great to taste. The Halwa at Liyaqat sweets was softer. Less chewy & was excellent to taste. It had more food color than the one at Chaina Ram. Loved this one as well. Again 4.25/5. 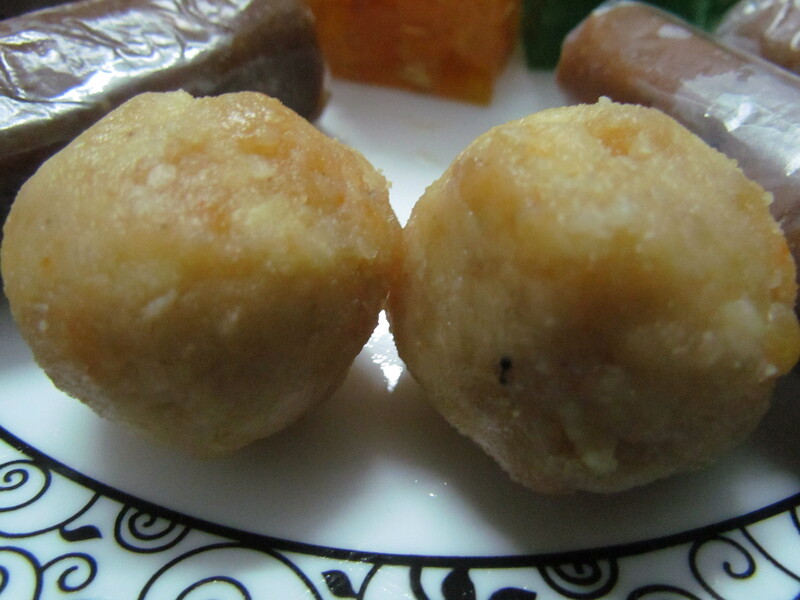 They also sell Mawa laddoos that r almost as good as those of Haji Allauddin. Apart from these there were the usual colourful halwas that were good but not great. I wud say 3/5. There r quite a few other sweets in this shop that I am yet to explore. Watch out, I will keep u updated.